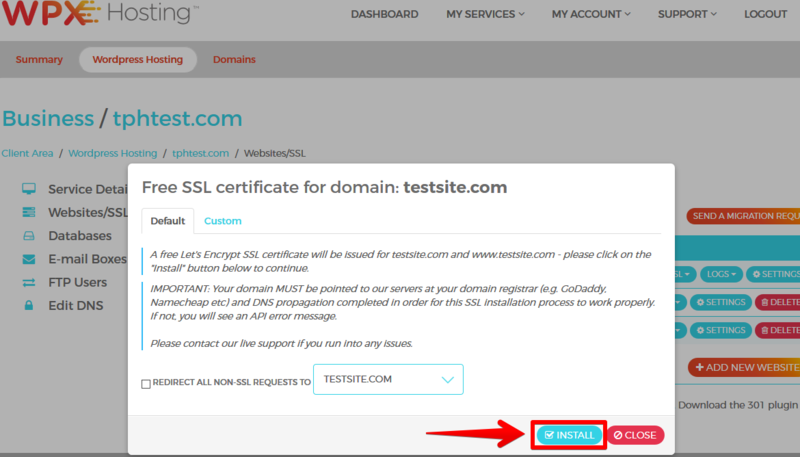 In the following article we will describe on how to enable SSL here at our web hosting service and few very simple steps. 1. 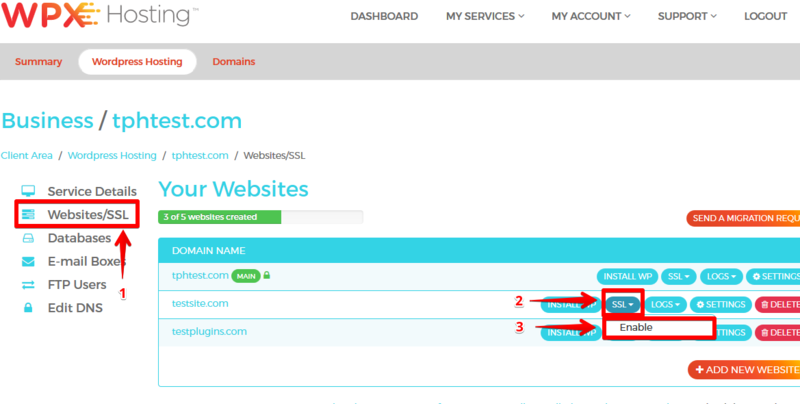 Login with your WPX account details and navigate to Manage all sites in this account. tool in order to enable the SSL option for the desired website. At the moment the SSL certificate should be enabled by default for every newly added website. Therfore if you see the green padlock next to your website, you can miss this step. You would probably encounter an issue with Mixed Content which means that you'll need to install Really Simple SSL and activate the plugin, the rest is done automatically by the plugin itself for you. If you are using CloudFlare, please check the following article: How to configure my already added website with CloudFlare? If you need more information about our hosting support, please click here. Tips how to improve your website speed.